look at my dinner tonight! 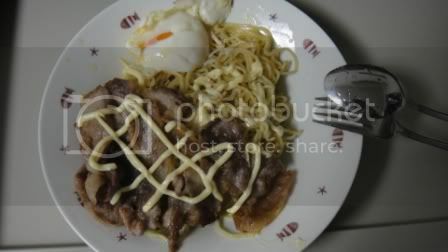 yakisoba with enoki mushrooms, onsen egg and the legendary black pork with japanese mayo! remind me not to mix enoki mushrooms with yakisoba. they don’t go well together. not too many updates today coz i’m gonna get back to my big bang theory. it’s addictive!